It is not the size of the man in the fight that wins. Rather, it is the size of the fight in the man that proves victorious, and the size of that fight depends on the size of the spirit in the man. 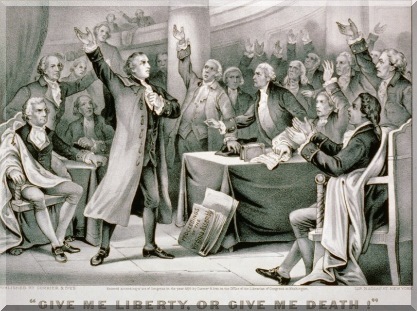 On 23 March 1775, Patrick Henry, an American lawyer and patriot, delivered a speech to the Virginia Convention urging his fellow countrymen to wage a war for independence against Great Britain and King George. That historic speech, known by its final sentence, “Give Me Liberty or Give Me Death,” reflects the enormous power of words and the fighting spirit behind them.